A Mad Hatter riddle is a very complicated question given with loads of clues, forcing the reader to examine them very vigorously. The Mad Hatter is a character derived from "The Hatter" who first appeared in the 1865 book "Alice's Adventures in Wonderland." In this work, one of the most significant things that this character was famous for is making up unanswerable riddles. The Mad Hatter character in Batman seems to be adapted from this memorable "Alice's Adventures in Wonderland" character and is known as one of Batman's biggest foes. 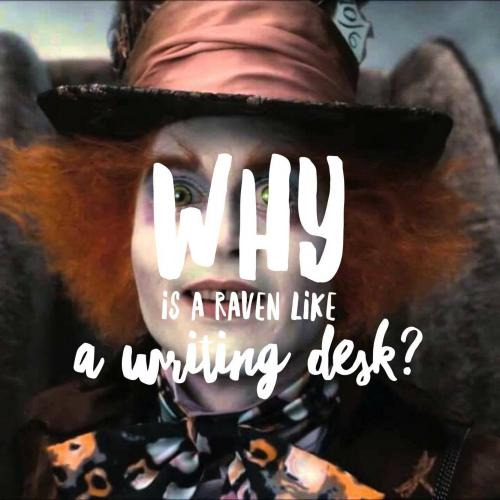 So, we have placed some of the best riddles related to these "Hatter" characters discussed overhead in the vast collection below, such as "Why is a raven like a writing desk?" Give your time to solve each question. If you're forced to give in, the solution to each problem can be viewed by clicking the "Show Answer" button below the clue. Why couldn't the Queen of Hearts find her hat? It was off with her head! Did you answer this riddle correctly? 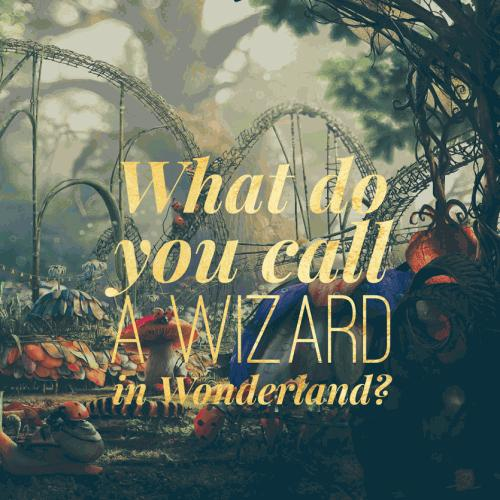 What do you call a wizard in Wonderland? Why did the Mad Hatter fall in love with his foe? Because she was the Queen of his heart! 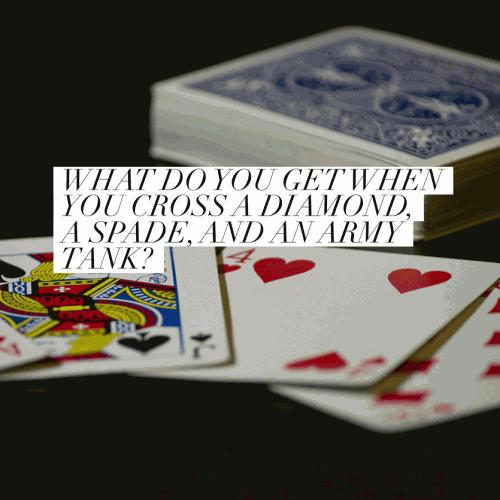 What do you get when you cross a Diamond, a Spade and an Army tank? Why was Alice late for tea? Because she fell down the rabbit hole! What's the Cheshire Cat's favorite drink? I'm sneaky and kooky, and just a little mad. My job is to confuse anyone who ventures through Wonderland. Who am I? Where did the Mad Hatter go to brush his hare? Why did the Hatter and March Hare get into a fight? Because everyone is mad in Wonderland! What doesn't Alice like about Wonderland? The drama queen of hearts. 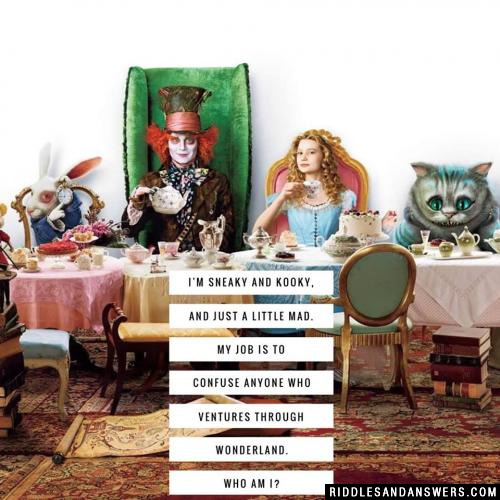 Can you come up with a cool, funny or clever Mad Hatter Riddle of your own? Post it below (without the answer) to see if you can stump our users.